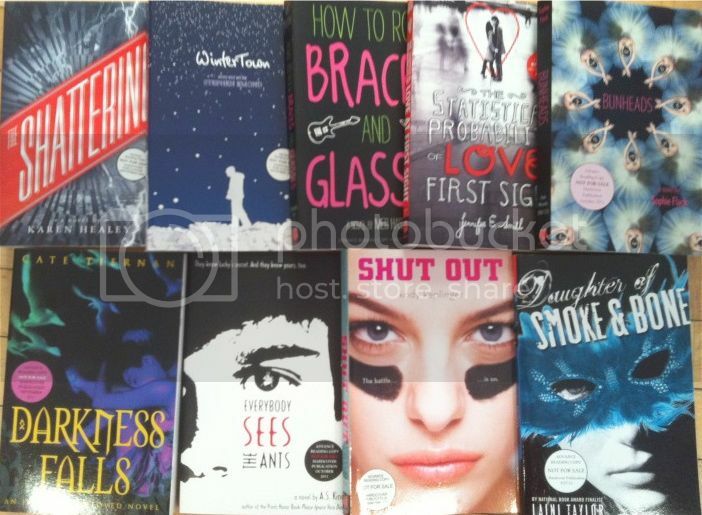 I was so excited to get this box of books from Hachette this week! Wow! I'm really looking forward to reading these. I've already dipped in and read the first few pages of Bunheads... it's fantastic, so far. Ooh, lucky! These look like pretty cool books. I can't wait to read your reviews of them. I'm super psyched especially for Darkness Falls. I love Cate Tiernan's books. Wow, a whole box of books! How fun. Ooh amazing set of books you got! I really really want to read Wintertown. I recently read the author's "Happyface" book and really enjoyed it. It came with an excerpt of Wintertown and whoa, I want!!! What a great set of books! I would like to read any of those!